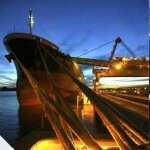 An expansion of the Port of Newcastle in New South Wales, the world’s largest coal export facility, will not go ahead. Port Waratah Coal Services (PWCS) has decided against proceeding with the expansion, which would involve the development of Terminal 4. The decision comes despite strong market conditions for Hunter Valley coal, with exports from Newcastle nearing record levels and prices above $US100/t. PWCS expects incremental growth in 2018 on the 105Mt exported from its terminals last year. PWCS chief executive Hennie du Plooy said following consultation with a range of industry stakeholders it was concluded that the capacity of the existing terminals, including potential expansion options, was likely to be sufficient to cater for future growth in exports. “With significant growth capacity available in the existing terminals, we do not expect that the conditions to support an investment of the large and long-term nature of Terminal 4 will be in place before the development approval lapses in September 2020,” du Plooy said. 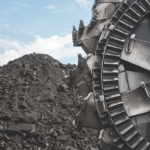 According to the International Energy Agency (IEA), global demand for coal is forecast to increase 3.2 per cent to 5534Mtce between now and 2022. NSW Minerals Council CEO Stephen Galilee agreed that the existing terminal infrastructure was capable of handling further increases in export volumes from growth in global demand. “Newcastle’s existing coal export infrastructure is highly efficient, providing flexibility of service for ships of different sizes, and has capacity to manage export volumes around 30 percent higher than current record levels,” Galilee said. 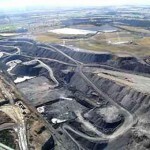 The IEA also expects Australia’s share of the international coal trade to increase from 34 per cent in 2016 to 42 per cent in 2040. In this context, the outlook for NSW coal exports is strong. Exports of thermal coal to China increased last year, and exports to Japan rose by 2.4 per cent to 64.3Mt. Exports to Korea rose by 0.6 per cent to 20.1Mt.